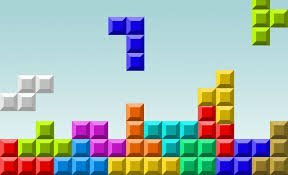 When it comes to ranking the greatest video games in the world, old-school Tetris will either be among the best or on top of the list. But how did this simple matching game - which has a simple gaming interface and mechanics - lands as one of the most popular and most played video game all time? Let's draw it back on the exciting history of classic Tetris. Tetris is a classic tile-matching puzzle game which was designed and created by a Russian game developer named Alexey Pajitnov in June 1984. Pajitnov was working as an artificial intelligence (AI) researcher in the Soviet Academy of Sciences in Moscow. He was tasked with developing simple games for the company using the exceptional capabilities of various hardware systems. He initially thought of using pentominoes which have twelve shape variants for its players to match. This was somehow difficult for players to understand, leading him to make use of tetrominoes instead. Tetrominoes are geometric shapes made up of four small blocks to form a distinct figure. Old school Tetris hosted seven tetromino variants in its conventional gaming platform. Pajitnov originally coined the game's name from the phrases "tetromino" or the main Tetris shapes, and "tennis" which was his favourite sport back then. Since then, Tetris has been a staple game variant made available in almost all gaming and computer consoles in the industry. These include home computer systems, arcades, video game consoles from Nintendo and SEGA, portable gadgets, and mobile devices. This game was also playable in some graphing calculators, media players, and even music players. No one can deny the popularity of this classic puzzle game with many online casino software companies like Playtech online casino arcade games using it as inspiration. As mentioned, Tetris is all about the seven tetromino variants which are made up of four small blocks each. These shapes - which were patterned after the letters I, J, L, O, S, T, and Z - randomly fall down on the rectangular playing screen made up of a 10 x 20 grid called the Matrix. Tetrominos only appear one at a time above the playing screen. Players should manoeuvre and control these geometric shapes to complete horizontal lines on the game field, without any gap in between. They can rotate these shapes, 90 degrees clockwise, before they land on the initially placed blocks to fit their desired landing position. Some Tetris variants have a "next queue" screen on the side which shows a preview of the next tetromino to appear. This helps players to plan their move before it falls. Once they complete horizontal lines on the screen, it will then be destroyed and blocks above it will then fall. Players can get 100 points for every cleared line. They can clear up to four complete lines at once which can score them 800 points. This completion is called Tetris. Successive Tetris combinations will reward them 1,200 points each. Some variants are dependent on the number of lines completed before players advance to the next level, while others base it on the total score accumulated. Players should be mindful that every time they progress on stage levels, tetromino pieces are falling faster to the Matrix. The game ends when the entire screen is filled with tetronimo blocks and no other shapes can enter anymore. 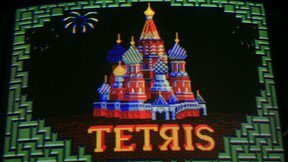 Tetris arcade game started the easy control system for tetrominoes. Players easily play Tetris games with just a number of playing buttons. They can manoeuvre these shapes using the left and right arrows in most game consoles supporting this game. Meanwhile, they can press the up button to rotate the game blocks. Players can also control the speed these blocks fall on the Matrix. They can perform a soft drop by pressing the down button which increases the falling speed of tetrominoes than the usual. They just need to release the down button if they want to return to the normal falling phase. They can also perform a hard drop which instantly drops the tetrominos from above. Players can simply press the spacebar button to immediately drop these pieces. But they should also remember that they won't be able to control the tetrominoes left or right and even rotate them during a hard drop. This drop variant is essential during timed Tetris games where players need to complete an objective before the time runs out. Anyone can readily play Tetris with friends with the availability of this classic game and many other casino table games online in the market. But they can also get thrilled by just watching other players battle it out in huge Tetris championship tournaments. Thus, one of these prominent events is the Classic Tetris World Championship or CTWC. Classic Tetris World Championship made its debut in 2010 to finally determine the world's best Tetris player. Portland Retro Gaming Expo makes sure that CWTC happens annually to give all Tetris players worldwide a chance to earn their spots in the leaderboard. This event was initially held in Los Angeles, California before it was moved to Portland, Oregon since 2012. CWTC players compete with each other using Nintendo Entertainment Systems (NES) and CRT-Televisions. Championship rounds are also streamed online to cater more Tetris fans worldwide.